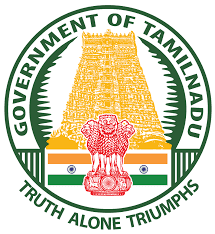 Tamil Nadu Medical Service Recruitment Board (TNMRB) has released recruitment for medical students Total posts are 111 posts in various departments in medical board. TNMRB Posts 2016 Prosthetics craftsman, occupational therapist, Audiometrician, EEG/EMG Technician. Medical Students don’t miss this opportunity you must utilize this recruitment. Aspirants also check other details like eligible criteria education qualification, age limit, number of vacancies, pay scale, Starting date of application, and Ending date of application, online application link and see the more details are given below. Prosthetic Craftsman: Candidates must complete 2 years Diploma in prosthetic form recognized institutes. Occupational Therapist: Candidate has pass Bachelor Degree in Occupational Therapy. Audiometrician: Candidate must pass Higher Secondary Course with Physics, Chemistry, Biology and one year diploma course in audiometry from recognized institution. EEG/EMG Technician: Candidate must pass Higher Secondary Course with Physics, Chemistry, Biology and one year course in EEG/EMG from recognized institution. Minimum age limit 18 years and Maximum age limit is 35 years.